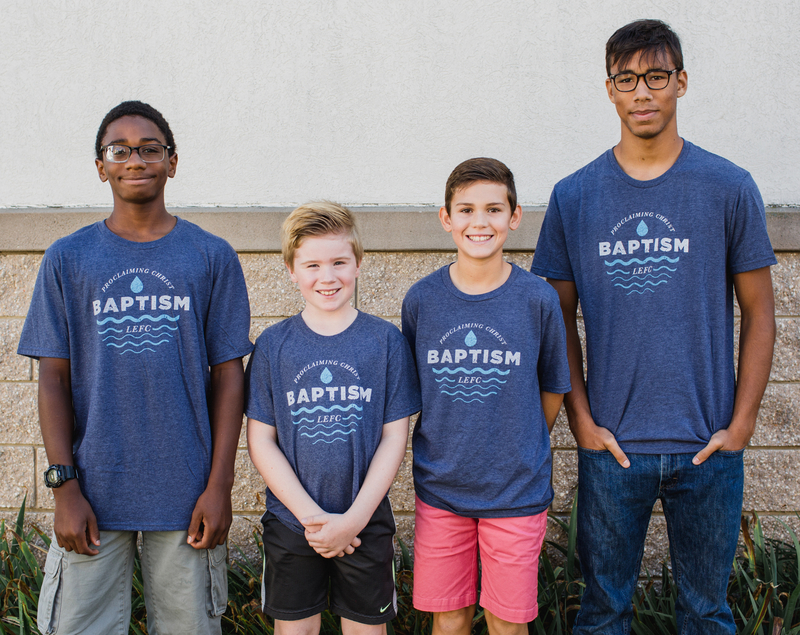 The following testimonies are from those who were baptized during church services on Sept. 16, 2018. I became a Christian when I was seven years old. My mom and I were driving to an appointment when she introduced me to having Christ as my Savior. I thought my problems would be gone. But by ten years old I realized that those thoughts were wrong. I believe I really did accept Christ into my life but at the same time, I struggled a lot and the next five years were hard as I worked through emotions and anger in knowing who I was, and understanding emotions I was having. God gave me an opportunity to change my lifestyle by giving me a therapeutic grade wilderness camp experience. There I had friends that helped me deal with my anger and feelings I had trouble with. Really I still struggle at times. But I have a much better understanding that I have Jesus with me through the good AND the bad! He’s always with me and wanting to help me with feelings and choices. A verse that I go to is John 3:16, "For God so loved the world that He gave His only begotten son so whoever believes in Him shall not perish but have everlasting life." It’s a verse that is very popular but when you think about it, God loves you that much he sacrificed JESUS for one of your tiniest or biggest sins ever! Hello, my name is Sam Murray and I am 10 years old. I grew up in a Christian family attending LEFC church. My family and Sunday school teachers told me about Jesus as I grew up and I kept getting a better understanding of who Jesus is. I learned that Jesus loves me and he wants to be Lord of my life. When I was 4 or 5 I asked Jesus to forgive me for all of my sins and asked Him into my heart. I want to give my life to Jesus and I want to get baptized because I want to show the world that I am a follower of Christ. Since I first accepted Jesus as my savior, I have tried to live for God in these ways: be a different person than everybody else, be the person who acts with kindness. In the future I want to continue to live for Jesus by doing the right thing even when it is hard. I also want to learn to trust God when I am afraid and to share Jesus with my friends. My Favorite Bible verse is John 1:12, “Yet to all who receive him, to those who believe in his name, He gives the right to become children of God.” I like this verse because it reminds me that I am a child of God and that I have the right to live in heaven with Him some day. Today I come to be baptized because I want the world to know that I trust Jesus as my Lord and Savior. I want to obey His commands and be baptized, just as it says in Matthew 28: 19-20. I trusted in Jesus for the forgiveness of my sins at an early age. I am being raised in a Christian home and attend Lancaster County Christian School. Attending a Christian school has strengthened my daily walk with Jesus. It is important to me to take this step today as a follower of Jesus. I grew up going to church with my parents but I always thought that church was the most boring thing in the world. When I was younger, I did ask Jesus into my heart but didn’t really understand what that meant. Most of my life I’ve had this overshadowing of darkness and gloom. I was continually in and out of depression. Often I turned to things that made me feel worse. Things that I knew were sinful. Some of these sins had what felt like an addicting control over me. When my family and others would talk about light vs. darkness, I could hear them but felt this overwhelming feeling of stuck and not worthy to get out. One day I was caught in sin. My brother had a talk with me and at the end of that talk, he told me to consider asking Jesus into my life and that He was the only one that could help/save me. This time the weight of my sin was heavier than usual and I hated the life I was living and felt like I really needed (and wanted) help. Help from within. I thought about this a lot. The next night, I went to my Mom and told her that I wanted to ask Jesus into my heart and asked if she would help me to do that. She talked to me about what it is to have Jesus in my heart and that God gives us a “helper” that is always and forever with us in the form of the Holy Spirit. So on February 5, 2018 I asked Christ into my heart and was reborn as a child of God, adopted into the family of God. I still struggle with sin and realize that I always will. But the difference now is I have the Holy Spirit and IF I ALLOW HIM, He WILL be my help. If I had not asked Jesus Christ to come into my heart, I really don’t know where I would be today. The darkness and depression that I once had has lifted and yes, I still have “down days” – it’s different. Jesus Christ in me has made that difference. I am so glad that I made the right choice to ask Jesus into my heart.